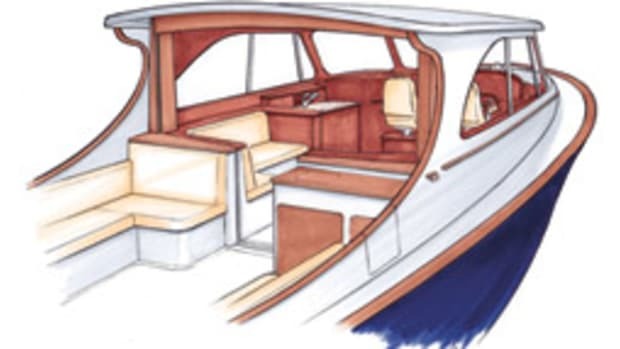 The best of the old and the best of the new: It’s a formula that works well in boatbuilding. The combination of traditional aesthetics and cutting-edge technology makes for a boat that appeals to the old-school eye and provides contemporary performance, comfort and safety. 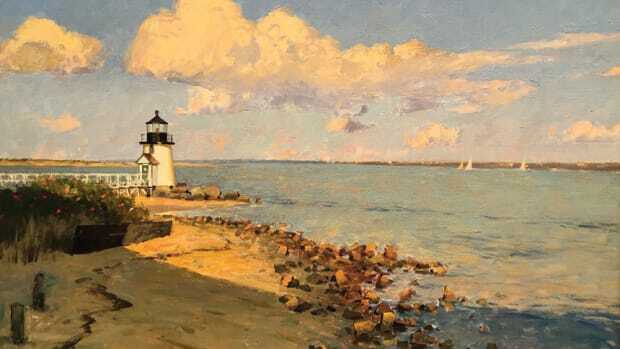 That’s the story of the Thomas Point 43. 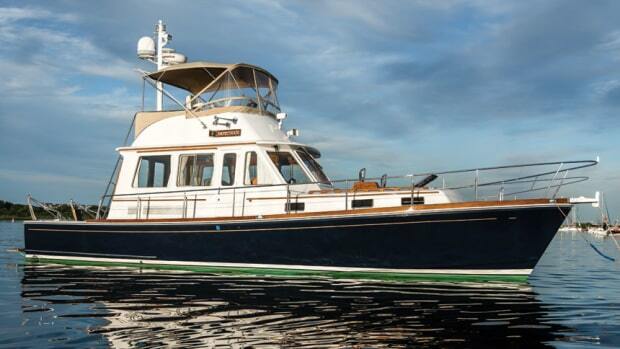 Her Downeast workboat lines hide a wholly modern cruising powerboat. 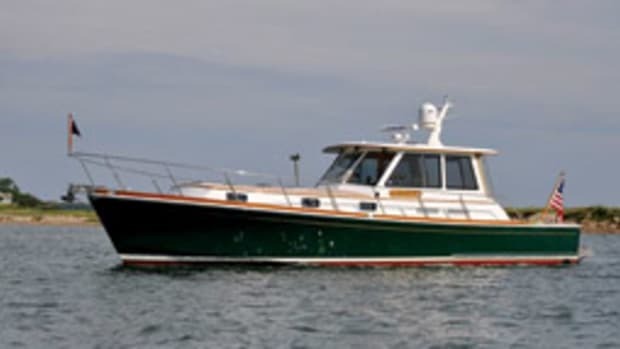 Mike Kaufman of Annapolis, Maryland, designed this twin-diesel powerboat, and Mast & Mallet Boatworks built her in Edgewater, Maryland. 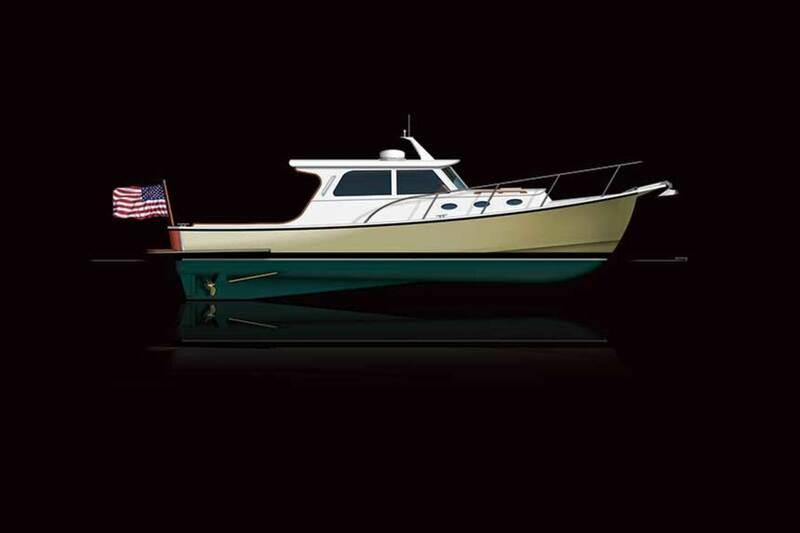 Kaufman, whose work includes several designs for Albin, started with a hull shape based on the New England lobster boat and the Chesapeake Bay deadrise workboat, with a touch of Carolina style. The ride was designed for rough water, with a deep-V forefoot for a soft entry and bow flare to deflect spray. The hard-chine hull flattened out to a shallow V aft, for stability and easy planing. The concept was launched in 1998. 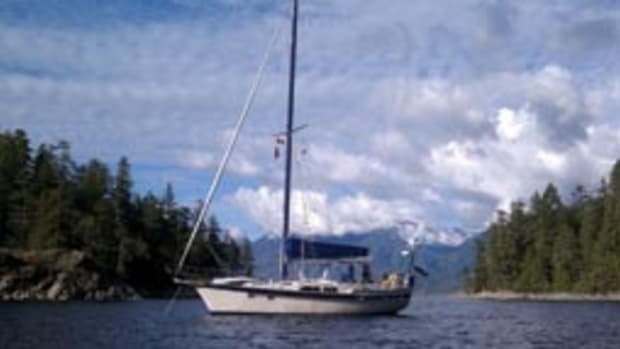 Mast & Mallet built the first 43 in 2000 using the cold-molded method. Two layers of cedar were arranged fore and aft, and then sheathed in fiberglass laid against internal frames. 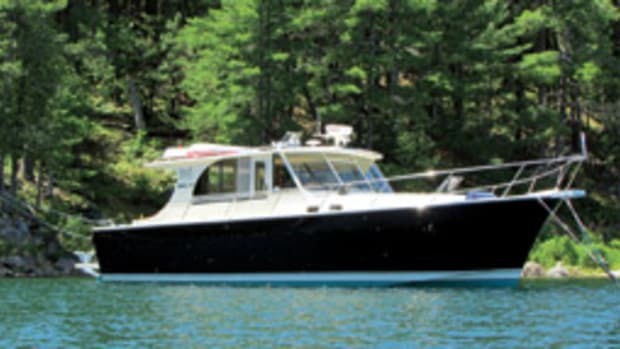 The result: a hull that could handle the long haul. 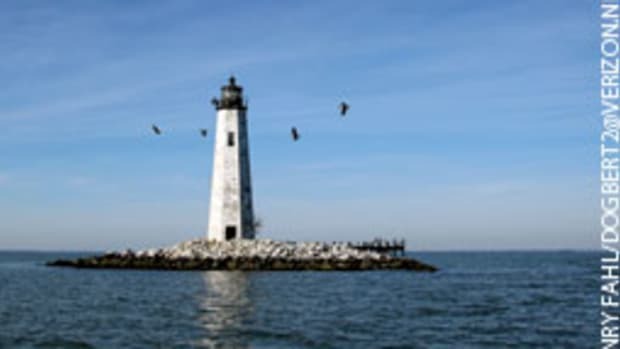 One Thomas Point 43 completed a 7,500-mile Great Loop voyage along the U.S. East Coast, through the Great Lakes and down the nation’s inland waterways, including the Mississippi River. The owners took the boat into the Bahamas as well.